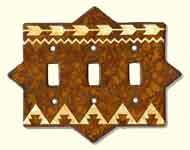 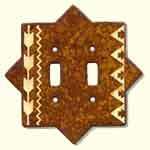 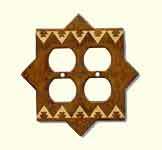 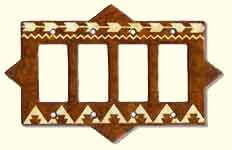 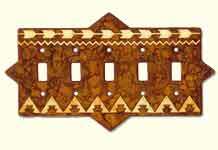 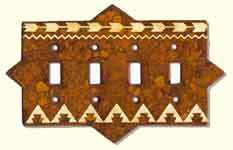 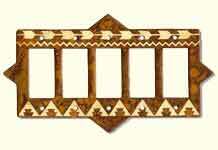 Western, Southwestern, and Rodeo home décor rustic switch plates and outlet covers are designed and have been created by hand in Arizona, since 1986. 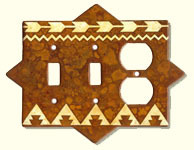 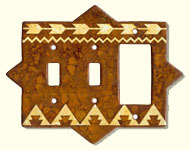 Unique switch plate covers and dramatic wall art are created from rustic metals. 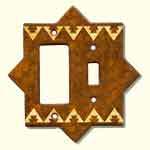 Through a special process, painted designs are applied and then burnished on the metal to achieve a rustic finish not found elsewhere. 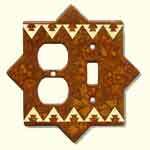 You will enjoy these durable rustic switch plates and outlet covers for years to come. 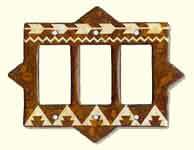 Click on photo for a larger image and ordering!